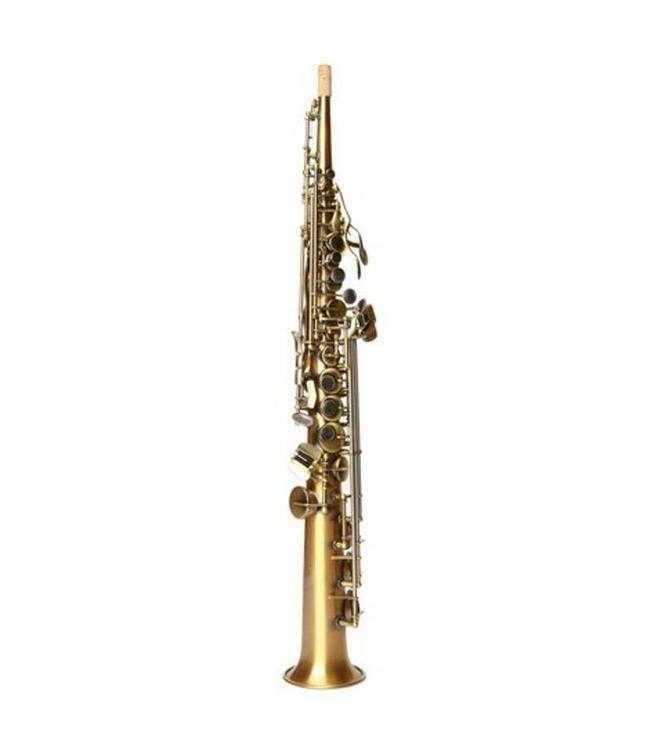 We took our great 1024 Soprano Sax model and dressed it up to look like a 1937 European import that performs like a 2014 Porsche. When it comes to dynamic tactile feel coupled with brilliant timbre and perfect intonation throughout all registers, you've got the best Soprano made in the world today. Hand burnished antique brass finish.